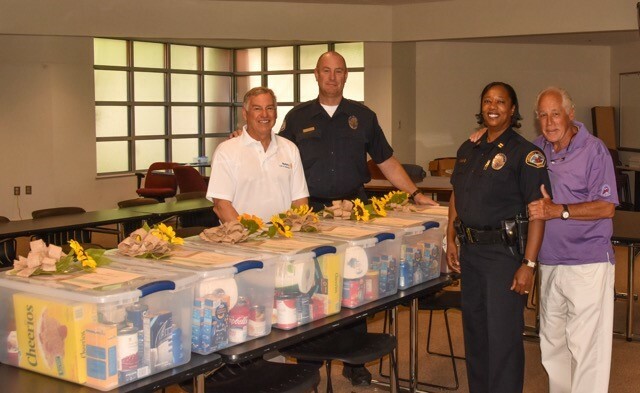 Rotarians Jim Gable and Ron Rogos (pictured with officers above) delivered six food baskets to the Leesburg Police headquarters on behalf of the Rotary Club of Leesburg on June 30, 2016. The baskets were distributed to six families selected by local schools to receive the food gifts. 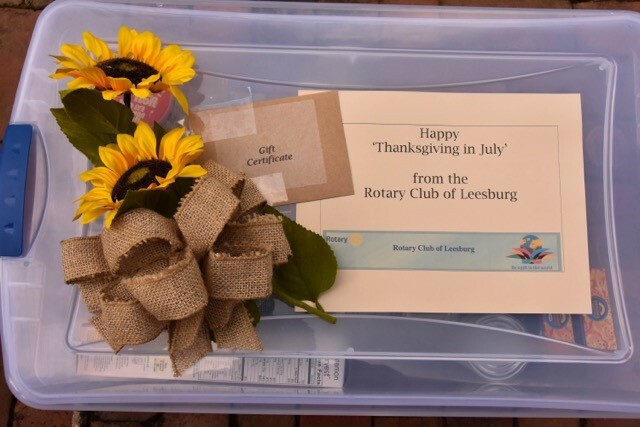 Former Rotarian and retired Leesburg Police Chief Joe Price started this effort, which has become a new club tradition. Thanks to all Rotarians, Leesburg Police, and school officials who helped with this community service.